High performance, low maintenance. BioSpec MD features MCare, an anti-microbial element that inhibits a wide range of bacteria and mold growth, reducing exposure to liability from infection. BioSpec SR provides superior traction in a low-contrast visual for spaces that require a slip resistant flooring. 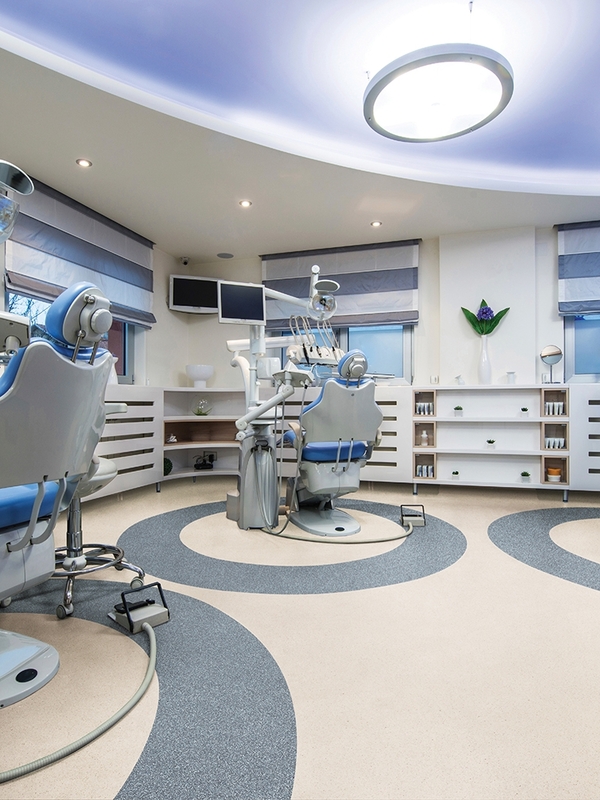 BioSpec RE is a groundbreaking product, incorporating 20% reclaimed, post-consumer carpet (as well as 15% pre-consumer content) into new sheet flooring. BioSpec FB, the felt back version of our classic BioSpec product, is your choice for reducing cost in lighter traffic areas of your space.